Music! In my opinion it’s one of the most important things you can have in a movie. Musical scores can be entertaining, soothing, hypnotizing and entrancing. Throughout the history of cinema there have been some amazing composers like John Williams and Danny Elfman. 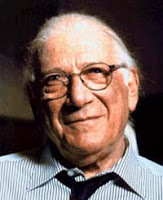 But for me, the greatest composer for film, hands down is Jerry Goldsmith. His music always puts me in a spellbinding mood, it can be emotional, frightening or exhilarating. 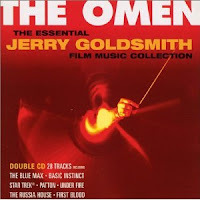 Most of my all time favorite movies have music from Jerry Goldsmith. 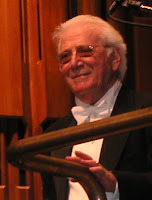 He began writing scores in the 1950’s. The first, memorable score of his was for the TV show “The Twilight Zone”, he would later do the score for "The Twilight Zone Movie”. Over the years he’s won several Emmie awards and academy awards, including best score for “The Omen”. He doesn’t stick to one genera of film. He did a lot of western scores for a lot of John Wayne’s movies like “Stagecoach” and “Rio Lobo”. He did music for war movies like “Tora! Tora! Tora!” and “The Wind and the Lion”, he did compose a score for “Gladiator” but unfortunately it was turned down and replaced by someone else’s score. He’s also done music for classic Sci-Fi’s like “Alien” and “Planet of the Apes”. 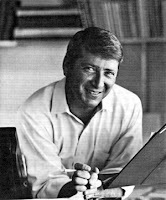 He did music for classic action and crime movies like the “Rambo” movies and “Basic Instinct”. Goldsmith has even don music for kid’s movies like Disney’s “Mulan” and “Looney Tunes Back in action” (This was his very last score). Finally, he’s gotten a lot of success with the music he’s done for horror movies like “Poltergeist” and “The Ghost and the Darkness”. The music Goldsmith composes fits with his films so well that it’s impossible to think of these films without first thinking of his music. Now it wouldn’t surprise me if someone would prefer John Williams because he has done so many more of the classic movie score’s like the music for Indiana Jones, Harry Potter and of cores Star Wars. Don’t get me wrong, I love his music too but his scores doen’t touch me the way Goldsmiths music dose. When I close my eyes and listen to his music, I feel transported to a place of joy or the settings of his films. Take for example, his score from “Patton”, it’s such a simple melody but it fits the film so well and without even seeing the movie it makes you think of the Marines. As far as kids movies go, one of the all time best is his score from the movie “The Secret of N.I.M.H.”. Whenever I hear this score I’m transported back to a time that was wonderful and care free. It sends chills down my spine every time I hear it and it fills me up with all kinds of strong emotions. That’s a strength that applies to a lot of his music. But emotional and soothing aren’t the only strengths of his music. His scores for action movies get me really hipped up and excited. The perfect example is the score he composed for “Total Recall”, how could you not get excited after hearing that score. Another great example is the score he composed for “Small Soldiers”, now that was an awesome score to get me excited at a young age. I think the catchiest of his scores was the one he composed for the “Gremlins” movies. That score had a fun techno beat and was the easiest of his scores to hum. 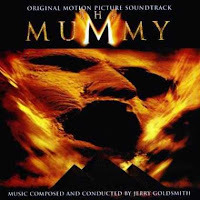 The movie that really introduced me to Jerry Gold Smith was “The Mummy”. In my opinion, its one of the all time greatest collections of instrumental music, it has every great form of music that he’s talented with composing. It has his exciting and exhilarating music from his action movies, his dark and foreboding music from his horror movies and his strong, soothing and emotional music that puts me in such a relaxed state of joy. Now, at last we come to the highlight of Jerry Goldsmiths Career and the big reason I’m a fan of his work. I absolutely love all the music he’s done for “Star Trek”. 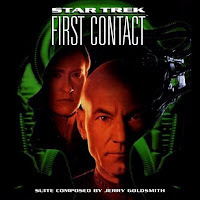 The score for the TV show “Star Trek The Next Generation” is without a doubt my favorite score I’ve ever heard for a TV show and I feel it deserves to be alongside John Williams score for Star Wars as one of the most memorable scores to fit with a series. He composed this score and other music to some of the Star Trek movies like “Star Trek The Motion Picture” and “Star Trek 5 The Final Frontier”, he also composed the score for the show “Star Trek Voyager”. But the three big ones I want to talk about are his scores for the movies “Star Trek First Contact”, “Star Trek Insurrection”, and “Star Trek Nemesis”. The theme of “Star Trek Insurrection” was about youth and feeling young again and his score reflects that theme perfectly. It’s so soothing almost like a lullaby a mother would play for her child. The music he composed for “Star Trek Nemesis” is hands down the last great score he ever composed before his unfortunate death. Again like “The Mummy”, this film contains every one of his great forms of music. The exciting, soothing and atmospheric music are all present and do a terrific job enhancing the mood of each scene. A perfect example is the diner scene between Picard and Shinzon. This scene features strong performances and terrific character structure that is emotional on its own but listen to how the music just enhances that emotion. My favorite score for any movie in the history of cinema is the one he composed for “Star Trek First Contact”. This is where my love for his music was set in stone. This movie features the classic score from the TV show and a new score that is absolutely amazing. Everything soothing, emotional or relaxing from his music is incorporated in this score and it’s absolutely beautiful, check it out. 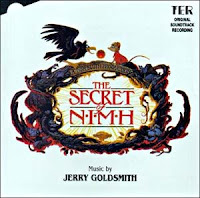 This concludes my tribute to Jerry Goldsmith but there are several of his scores that I didn’t even mention, I barely scratched the surface, let’s not forget he’s been composing music science the 1950’s. On July 21 2004, (after battling cancer for years), he quietly passed away in his sleep. He may be gone but I’ll always remember his work and maybe his music will be an inspiration to people wanting to compose music. If you never heard of him, I hope this got your interest. May he rest in peace, be remembered and may his music continue to entertain and inspire people who love music as much as I do.